Virtual private network technology makes possible to access safe, private networks by using less secure networks like the internet. VPNs are typically used to connect physically remote branches of an organization, making them appear as if they were part of the same LAN (for example two offices in different cities). The traffic between the sides of the connection is encrypted using tunnels, which protects the transmitted data and the connection information themselves. For the same characteristics, VPNs are often used to circumvent government restrictions and anonymize internet traffic. In this tutorial we will see how to create a virtual private network server using OpenVPN, the open source VPN software on Ubuntu 18.04 Bionic Beaver. Few seconds and the software will be installed in our machine, ready to be configured. In this section we will generate the needed certificates and keys: first we will create our custom CA (certificate authority), then we will generate the server certificate/key pair, the Diffie-Hellman parameters and the tls-auth key. In this case I called the directory certificates. This will be our working directory for the rest of the tutorial, therefore all mentioned commands must be considered as launched inside it. Follow the onscreen instructions. The challenge password and company name fields are optional. The script will take some time to generate the parameters, depending on the machine we are running on, be patient! The command should return "active". 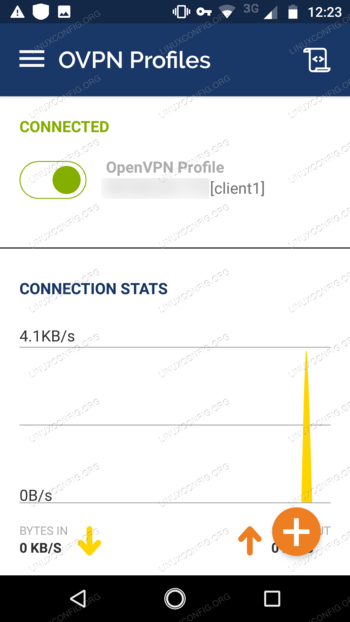 Now we have two options: we can either copy the necessary files to our client, or we can generate an .ovpn file, in which the content of those files are embed. We will concentrate on the second option. Finally, just import the file in your client application and you should be ready to go.